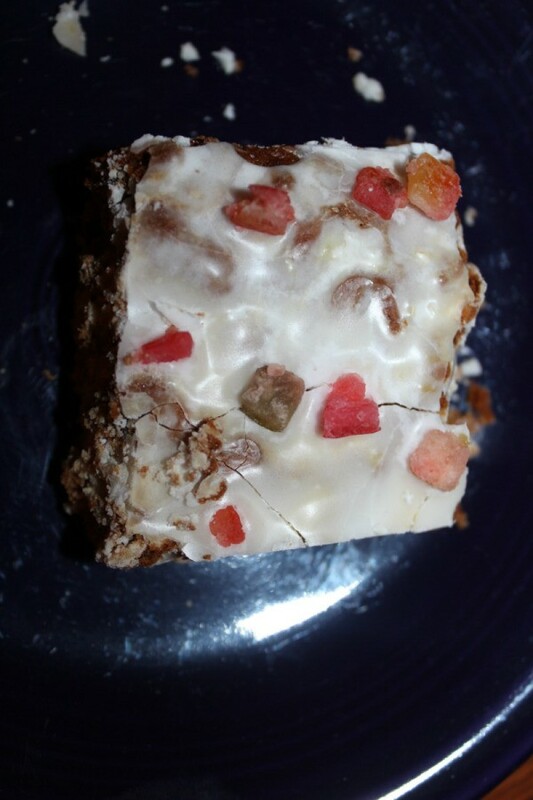 Lebkuchen are dense, sweet honey flavored bars filled with nuts and candied fruit. This page contains pan lebkuchen recipes. This is a traditional Christmas recipe that my mother would make when I was growing up. Pan Lebkuchen is dense and sweet, and I really enjoy eating it for breakfast with coffee. In a large mixing bowl, beat together egg and oil. Add brown sugar and beat until fluffy. Stir in honey and molasses. Add dry ingredients and mix. Stir in chopped almonds and fruits. Spread into 15x10x1 inch greased pan (I use an 13x11 inch stoneware pan). Bake at 350 degrees F for 15-20 minutes. While bars are in the oven, prepare glaze. by beating together egg white, powdered sugar, lemon peel, and lemon juice until smooth. Remove from oven and immediately score into bars with a sharp knife. 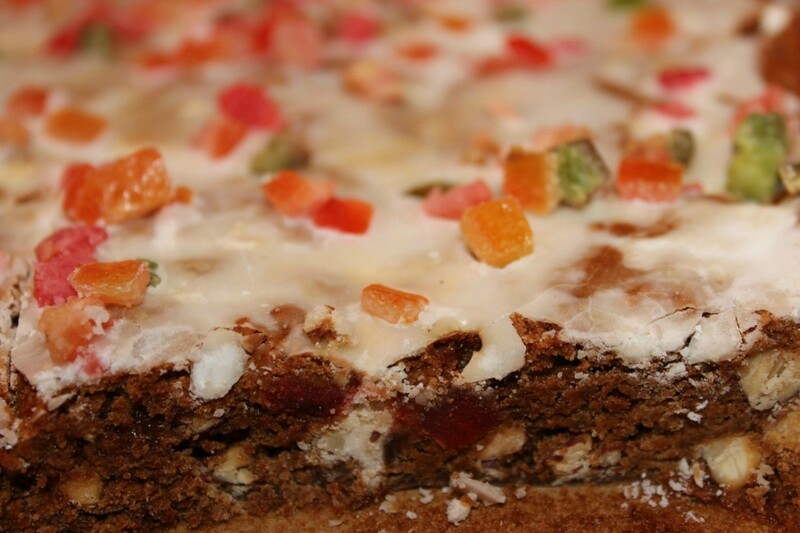 Brush glaze over warm bars and garnish with candied fruit. Cool through and cut into bars.